Welcome to Unirack Shelving. 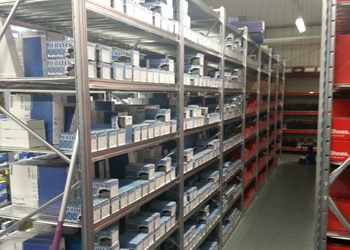 We provide Unirack warehouse shelving systems at some of the most competitive prices on the UK market. For years Unirack Shelving has specialised in sourcing and supplying the very best of warehouse shelving systems for all industries at the most competitive prices. The Unirack modular shelving system fits that bill admirably. 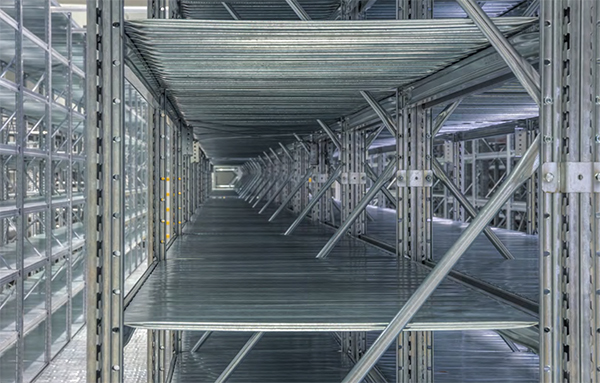 Although NOT designed as a pallet racking system or for loading using forklifts, Unirack’s versatility, high quality, and ease of building and expandability when required, makes it one of the most effective shelving systems available today across a range of industries. 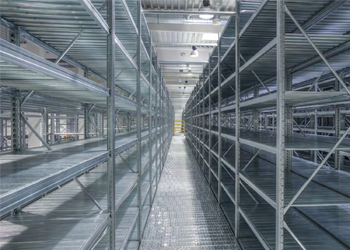 Designed to fill the gap between cheap standard lightweight shelving, and heavy-duty heavyweight pallet systems, Unirack warehouse shelving provides the ideal solution for light to medium storage problems. Suitable for constructing up to eight metres high in one, two, or three tiers at a load of up to 4800 daN, the unique system allows for fast construction and stability at a most cost effective price. The flexibility of this product makes it ideal for storing anything from car and truck tyres, exhaust systems and accessories, barrels and bins, to box files and office sundries, pharmaceutical equipment and products, and much else in between. 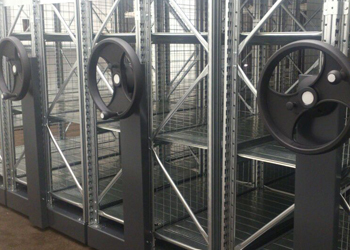 Whether you require warehouse shelving, industrial shelving, commercial shelving, retail shelving or mobile shelving, we can design and supply a Unirack system specific to your needs. With a system of this quality there must be a catch right? If you can find one, let us know! We deal directly with the manufacturer’s UK importers and can supply your system at a price we believe will not be beaten. Why choose a Unirack shelving system? A nationwide company based in Nottingham, we offer trade deals to both shop fitting and commercial fit-out companies, as well as offering a direct service to individual clients on a supply only, or supply and construct basis. Using a fast courier service all orders are dispatched and delivered anywhere in the UK to be with you as quickly as possible. 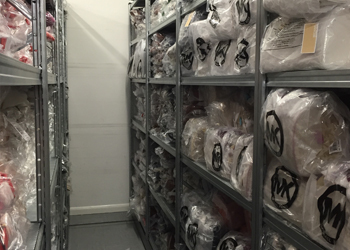 If you’re looking for a Unirack supplier that you can depend on, call Unirack Shelving on 0115 939 7572. Our engineers are more than happy to discuss your Unirack requirements, explain what will be needed, and answer any other questions or queries you may have. 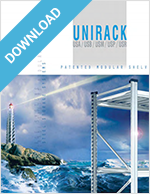 It comes loaded with technical specifications and a list of the accessories available on Unirack systems.